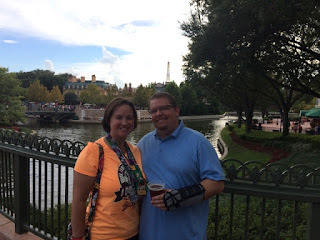 When we decided to plan our first visit to Epcot's International Food & Wine Festival in 2015, I was at a rare loss of Disney knowledge. This was probably one of the few things that I previously had zero experience with when it comes to Walt Disney World and I found myself scouring the Internet for answers. In an effort to help those of you that might also be planning your first visit to the Food & Wine Festival, I've assembled some of my biggest "ah-ha" lessons learned. 1. 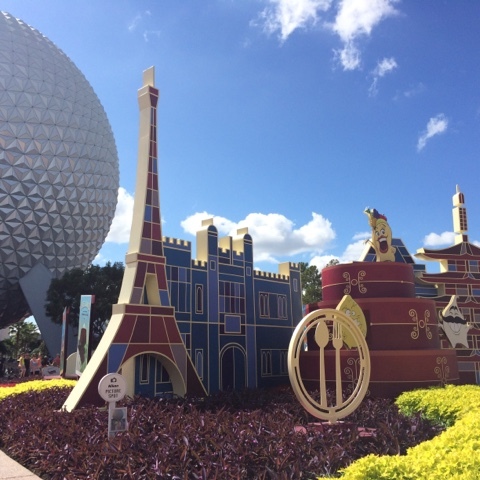 Be prepared to drop serious money in Epcot - The Food & Wine Festival is held within Epcot's World Showcase and houses over 20 kiosks of food and beverage bliss. On top of your admission to Epcot, be prepared to pay between $3.50 and roughly $8.50 per taste of food or drink with flights being even more expensive. Tasting your way around the world won't be cheap, so be prepared if you want to enjoy a wide variety of selections from the festival. There is some good news though. If you are on the Disney Dining Plan, most selections at the kiosks can be redeemed through snack credits and since Disney usually offers free dining during the fall months when the festival is going on, this is a great idea. 2. Minimize dining reservations on festival days - The portion sizes of both food and drink are decent considering the money you pay. By the time that you taste filling beverages and taste a variety of food, you probably won't be hungry for much of a meal. Definitely avoid buffet dining which will carry a heavy price tag. If you want to reserve a table service meal to experience a particular restaurant or secure good viewing for an evening show, make sure it is one that you can order off the menu so you can stick to lighter fare if you're not overly hungry. You would also be fine to minimize your total overall Disney budget by skipping meals on these days. 3. Grab a Festival Passport and make a plan - The first stop on the first day your at the festival should be the Festival Center where you can pick up a passport which will have all of the food and drink options listed at each kiosk. If you go out into the festival chaos without a plan, it would be like trying to plan a road trip without GPS or a map. With so many options, resign yourself to the fact that you won't be able to do it all (unless you live close by and make trips throughout the festival and have hit the Mega Millions jackpot - in either case, I'd be jealous!). Pick your priorities to taste first and then you can always sample more if you get the chance. 4. 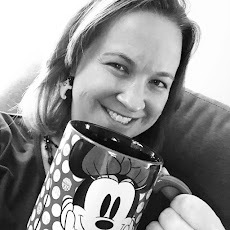 Buy a Park Hopper ticket - I'm not always a fan of the Park Hopper on my Disney vacations because we tend to be fine picking one park and staying there for a day which saves us money. 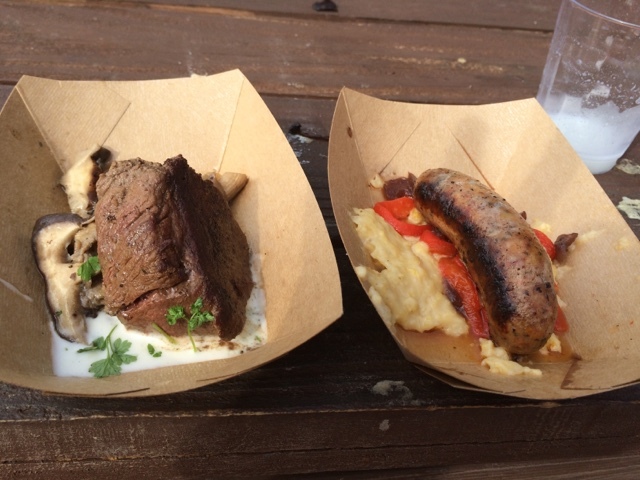 However, during the Food & Wine Festival, I think a Park Hopper ticket is a good option. 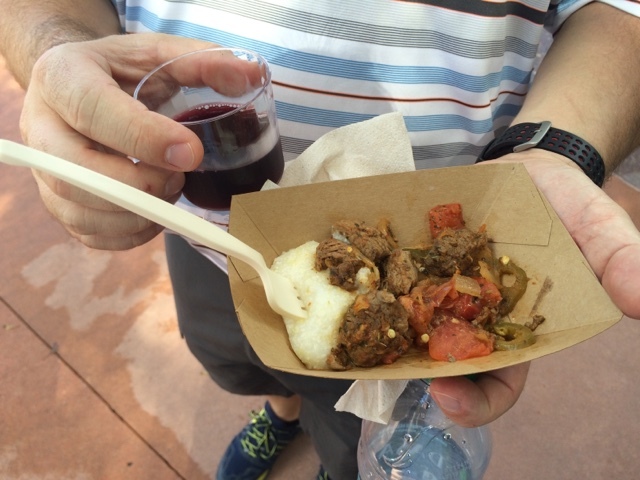 Spending a whole day at Epcot tasting is exhausting and filling. The Food & Wine festival is the perfect venue to visit for half of a day and come back to several times during your trip. 5. Bring your Chase card - Chase is (or at least has been) the official sponsor of the Food & Wine Festival and brings proud fanatics the Disney Rewards Credit Card. 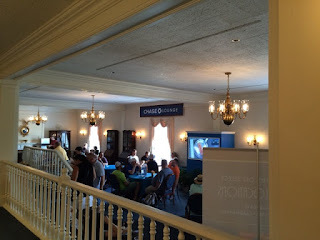 If you have a Chase card, whether it is Disney themed or not, there is a Chase lounge located inside the American Adventure pavilion with free sodas and water, air conditioned seating, and some limited amounts of wrist bands for reserved seating for the Eat to the Beat Concerts and Illuminations viewing. We visited the Food & Wine Festival twice. Our Thursday afternoon visit found the Chase lounge to be relaxing and slow paced, but on our Sunday visit to Epcot, we didn't even attempt to enter the Chase lounge as a long line had gathered waiting to get in. Since crowds vary day to day, this may or may not be a good place to "relax" during the festival, but it's worthwhile to carry your Chase card with you just in case! 6. This isn't your typical Wine Fest - My husband is a true fan of wine who likes to learn about the wine that he tastes. If you're like him, be prepared that when you taste at the kiosks, your wine is simply being poured by Disney cast members who really have no knowledge about the wine, grapes, region, winery, etc. I'll admit - he was disappointed to be tasting some fabulous wines without being able to learn anything about them. If you are looking for a more "educational" experience, similar to what you get a local or regional wine festivals where people can talk to you about the wine you are tasting, book a seminar. They typically only run about $15 in cost and several are held each day. However, they are very popular and almost always sell out well in advance of the festival itself. 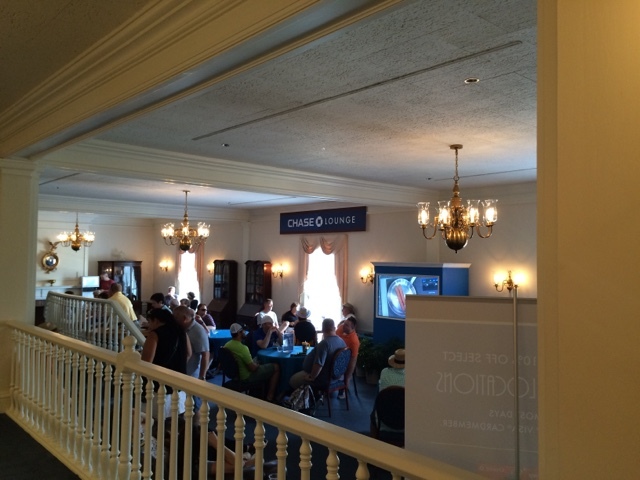 Keep track of when the seminar schedule is released on Walt Disney World's website to book early. And, if you have a Disney Rewards Credit Card from Chase, you get a few days advanced booking before it opens to the general public. Hopefully, these tips will be helpful to those of you visiting Epcot's International Food & Wine Festival! I hope to be back sometime again within the next few years and would love hearing some of your favorite tips as well. Bon appetite!